Occasionally I read a book just to see what all the fuss is about, because I like to know why a book is popular, and because my students will probably be talking about it. That’s why I read Gone Girl by Gillian Flynn – I don’t usually read books described as ‘thrillers’. This novel has also been described as ‘female noir’, and it is dark, exploring the twisted minds of its protagonists. It has had rave reviews, considered brilliant and unputdownable by most reviewers, so I was hoping to be gripped. The novel focuses on a husband and wife, Nick and Amy. Their marriage clearly has its problems, and the novel opens on the day of their fifth wedding anniversary. That day, Amy goes missing. The narrative, by Nick, is interspersed with segments of Amy’s diary and we learn of different things that happened both before and after her disappearance. Nick, of course, is accused of her murder, and as the story unfolds there are many twists and turns along the way. It is a gripping read; it is a novel that makes you want to know what has happened and how it will end. However it didn’t seem to me quite as brilliant a novel as I had hoped, because ultimately it’s just a thriller, and while it is imaginatively and tightly plotted, and well-written on the whole, it seems to aim to be more than a disposable read, and misses the mark. The cover blurb, and the reviews, suggest that this is a novel which probes the human psyche, so I was assuming it would look deeply at the condition of human relationships; the blurb suggests that the book forces readers to question who we really are and whether we really know the people to whom we are close. In fact, I don’t think this promise is fulfilled. The relationship of Nick and Amy is that of sociopaths damaged by their own pasts as well as their destructive bond, and even this isn’t fully explored. Rather than asking or provoking more universal questions, the novel aims to shock and surprise. Unlikeable characters are often crucial to novels, but it is difficult to sympathise here. I can see there are areas where the novel does aim to provoke a wider conversation relating to society. For example it asks us to think about how we socially construct ourselves, and about the stereotypes which we might fit. These stereotypes might be used to explore gender constructions and the traditional roles which gender forces upon us, but the novel stops short of this. One of my concerns when reading this novel is how misogynistic it is. It offers a worldview in which women are ultimately always to blame, whether that woman is devious, as in the case of Amy, or not, like Andie: the women of the novel take the blame while the men, however unpleasant, however difficult, are less unpleasant and difficult, and ultimately less murderous. There is also, I think, an instinctive distaste towards women’s bodies and their physicality in the novel which I find very uncomfortable. 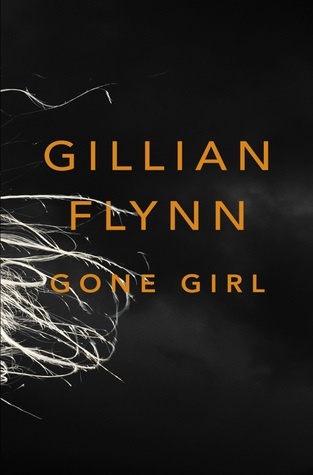 Flynn also explores the role of the media in crime and in legal issues and how this might affect one’s judgements of a situation, though I think this is as well represented by the musical Chicago as it is by Gone Girl. So although this is a well-crafted novel which kept me reading, I can’t say I exactly enjoyed it. The ending is also rather a disappointment; it’s as though the big twists happened a little too early and as a result the ending seems tame. There is an excellent discussion of the misogynistic worldview of Gone Girl here.